First Online Bass Lesson is FREE! Riley Hagan is a bass guitar instructor who specializes in one-on-one bass lessons online. 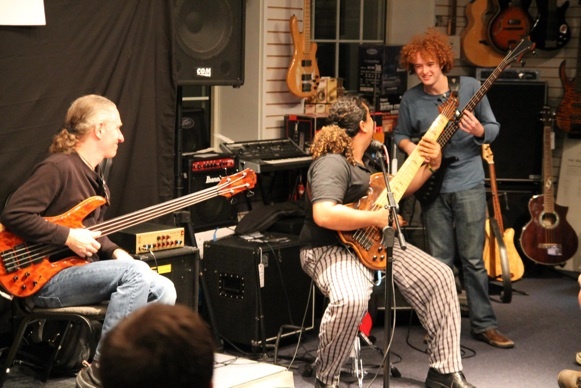 He is a Berklee College of Music Alumni and first became an electric bass teacher at the age of 14. Riley is a featured artist at the Berklee College Of Music Five-Week Program. 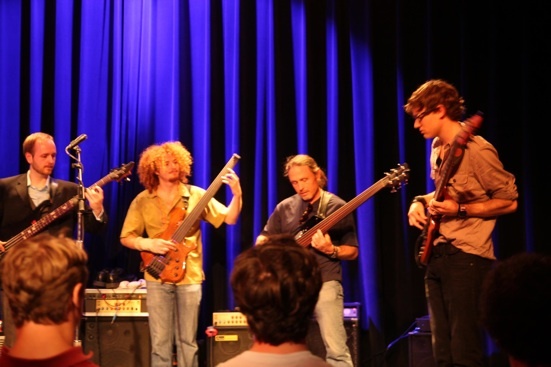 His performances include the Berklee Bass Lines Concert and the New Hampshire Bass Fest. As well as being a guest teacher at the EM&T Music Institute in Sao Paulo Brazil. Riley has performed and studied with world-renowned Michael Manring (“Bassist of the Year” Bass Player Magazine 1994) Berklee professor Jim Stinnett (Instructor of Mike Gordon from Phish), Steve Bailey (Chair of the Berklee School of Music Bass Dept., Dizzy Gillespie, Victor Wooten) touring bassist Marshal Wood (Tony Bennett), Joe Hunt (Stan Getz, Bill Evans), Felix Pastorius (Macklemore, YellowJackets) and preformed on stage with Les Claypool (Primus).